Do you want to play with the new version of Exchange? Have you developed an Exchange app and want to see if it works with Exchange 2016? 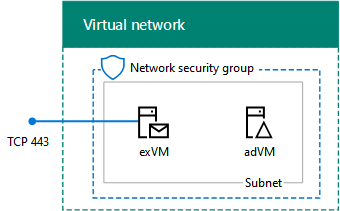 Create the virtual network and the adVM virtual machine. Create the exVM virtual machine. Install the trial version of Exchange 2016 on exVM, create two mailboxes and test email delivery. When complete, you have a functioning Exchange email server that you can access from the Internet for administration and testing. You can expand this configuration as needed to meet your evaluation or dev/test needs.